In this lesson we will discuss about Pinterest social networking site. Pinterest is comparatively new social networking site compared to Facebook and Twitter. But it became very popular with in short span of time. How to use Pinterest for your website? The popularity of Pinterest has forced website owners to make their website presence on it as well. In this article we will discuss how to make your website Pinterest friendly and utilize power of it to increase traffic to your website. Note this social networking website is way simple then other sites we have dealt earlier in this guide. But by no means it is not powerful. It can drive good amount of traffic to your site. So it does not hurt to focus on this social site. You can add link to one website per profile. You have to verify your site as well. To add website go to Settings -> Profile section as shown in below image. The Profile section helps you provide more information about yourself. Note it is better to change your personal account type with free business account type. The personal account type is default and can easily be transformed to Business account type. Business account type gives you details about Analytics or performance of your website. You can set your name, profile picture, user name and short description about yourself in About you. But the most important setting for a website owner is Website part. You can enter full URL of your website here. After that you have to verify your site. The verification method is same as that of Google Search Console. You can download the html file and upload it to your web server. This is the preferred approach. Note on the Account basics screen you will see Search privacy option. It is recommended not to hide your profile from Search Engines. So keep the setting as shown in below image. If the profile is linked to search engines then all the links you submit here along with website added is visible to Search Engines. I recommend connecting the social network profiles. Connecting social profiles will help visitors know about your presence on other platforms. So if they are interested they can connect with you on other social media platforms as well. So I would recommend setting up your website as well as these social media profiles. So far we have created profile for you. Now it is time to create a dedicated community or group for your website. In Pinterest world it is called Board. Board is place where you can club similar pins. Every content you share on this social networking site is a Pin. After that you will see a pop up on which you have to enter the board name. That is it. You should not club your Pins in appropriate boards. This will help your profile visitors as well as followers. Note you also have option to create multiple profiles for each website. That is even better approach. As you can verify each of your site in profile section. But I do not prefer that approach. The reason is that Pinterest is not very good traffic generator for my niche. We will discuss which niches Pinterest is best at later in this article. Also maintaining different profiles is a pain. So instead of creating multiple profiles I prefer creating boards for each website. 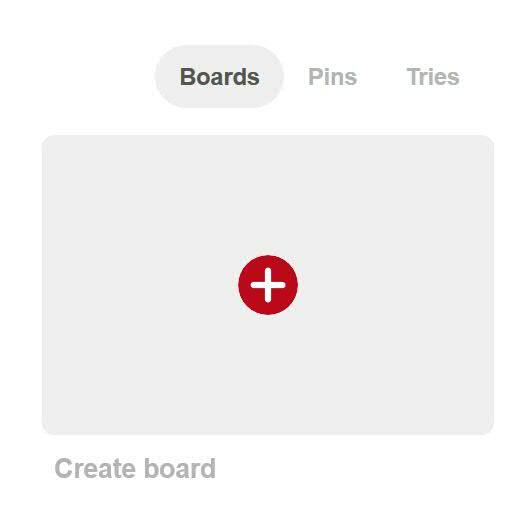 How to add Pinterest buttons on your website? Above we have created presence for our website on Pinterest. Now it is time to inform your website visitors about your profile on it. You should also make it easy for them to follow you and share your content as well. Out of these buttons I would recommend using Save button , Follow button and Board button. You can use Profile button if you have not created Boards. But I prefer using Board approach as I have multiple sites and I do not like creating multiple profiles. I recommend using this method for all websites. This method makes sure you are not adding any additional piece of code to add the widgets on your website. Note initial page load time is important and is one of the search ranking factors. In this method copy and paste below code above </body> tag of your website. If you are using WordPress then this tag is present in footer.php website of your theme. You have to paste below code just above it. Now you need to add below code where you want to display the button. 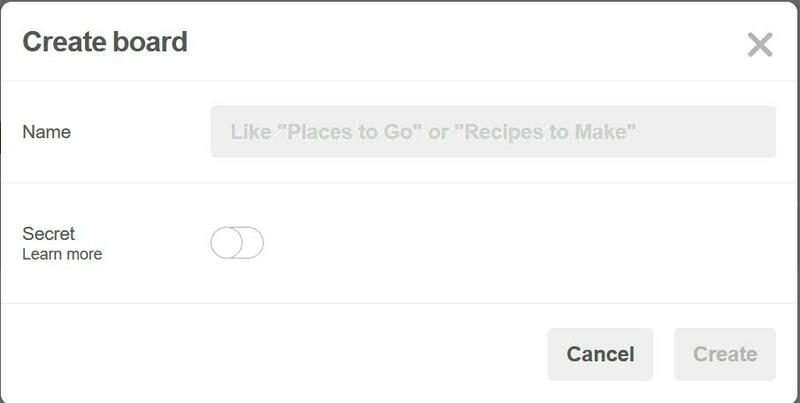 Note you can customize the look and feel of every button mentioned above button at this link. Note the above code should only be included once. You can place multiple buttons or other type of buttons on your website. Below is the default button code which should serve the purpose for most websites. In case you do not have specific requirement you can copy below codes paste it where you want to display the buttons. In above code replace the string parts Enter the profile URL and Enter your profile name or website name before pasting it on your website. In above code replace Enter your board URL with your board URL before pasting it on your website. In above code replace the text Enter your profile URL with your profile URL before pasting it on your site. As mentioned you should only use buttons you want. Using too many buttons will not help. You can use two buttons. One is the Save button and other is the follow button or profile button. These two buttons serve the purpose for most sites. One enables visitors to share your content and other enables them to follow you. You can use profile widget to showcase your content on Pinterest as well. This will capture interest of visitors. You can read the next section of this tutorial to make a decision as well. This method does not require you to modify your site files manually. You can install extensions or plugins for your content management system to place these buttons. Note I do not prefer this method. It is only recommended if for some reason you do not prefer the first one. I will only discuss for WordPress, Joomla and Drupal as these are the ones most popular. You can use below plugins or extension for these CMS for the buttons. Note these are free plugins. There may be other plugins available as well. Every social networking site has a distinct feature. But with popularity of medium everyone starts using them. This does blur the distinction of the network. But still the network works best for content or sites which resemble close to the original distinct feature of the social media site. Pinterest by nature is Image heavy. You have to upload a image for every URL you share on it. So your content performs if it matches this theme. Your blog content should primarily should be image driven. Photography blogs, Fashion blogs and other similar image centric blogs and websites meet this criteria. Technical and job related blogs does not meet it. But people have started creating good visuals on technical sites as well. They are effectively using infographs to promote themselves on Pinterest. So even if you are blogging on these kind of niche you can use rich visuals to promote your website on it. Though the amount of success for photo driven blogs may be more. But nevertheless it does not harm to promote yourself on any platform. The right mix of social networking site your website should use is important. The first three social networks (Google Plus, Twitter and Facebook) we discussed are the ones most websites use. Facebook is by far the most powerful one and every one is using them. From this tutorial to next ones we will discuss specific social sites which can help you get good traffic and exposure. Your site will definitely have advantage if you are using them to promote it. Not all social sites are meant for all types of websites so you should carefully select the ones matching and will be more beneficial for your site. We will discuss one more social networking site in the next part of this guide. Consider sharing this post in case you found it useful.